Wilmots shows he's still got some skills. Goalkeepers: Thibaut Courtois (Atletico Madrid), Sammy Bossut (Zulte Waregem), Thomas Kaminski (Anderlecht), Simon Mingolet and Koen Casteels injured. The Belgian Golden Generation will live up to the expectations that have been placed on them. Eden Hazard and Romelu Lukaku lead a lethal attack force in front of one of the most formidable back four in the world. Their midfielders can dominate play with their physicality and passing skills. This team has depth, talent, and has a wealth of talented players coming from nearly every top competition in Europe. Injuries have already been a problem for the Belgian National team who have called up their 7th keeper to the squad in the wake of injuries to Koen Casteels and Simon Mingolet. If they picked up an injury to a goalkeeper or other key player it could spell doom for the Belgians. The demands of travel, and the pressures of playing three matches in 10 days could end up being too much for the squad that has just finished their club campaigns. Eden Hazard is fresh off his PFA Team of the Year nomination and is ready to show the world what his magical feet can do. An expert dribbler that squeezes through almost nonexistent gaps in the defense. He can score goals, but is equally happy setting up his teammates. Hazard prefers featuring on the left side of the attack so he can cut inside and unleash his ferocious right footed shot. He is one of the elite attacking weapons in the world and will show the world what he can do in Brazil. Thibaut Courtois just had an incredible season for a 22 year old goalkeeper. He lifted the La Liga title and was one minute from UEFA Champion’s League glory before his team capitulated. As the only top quality keeper for Belgium, he will be the last line of defense playing behind an experienced back four. He possesses tremendous shot stopping abilities and has demonstrated aerial dominance as well during his career. A few great performances this summer could make him a household name around the globe. Much has been expected of Lukaku in his short career and he has delivered at virtually every turn. He has scored an incredible 65 league goals by his 21st birthday, eight more than Lionel Messi. 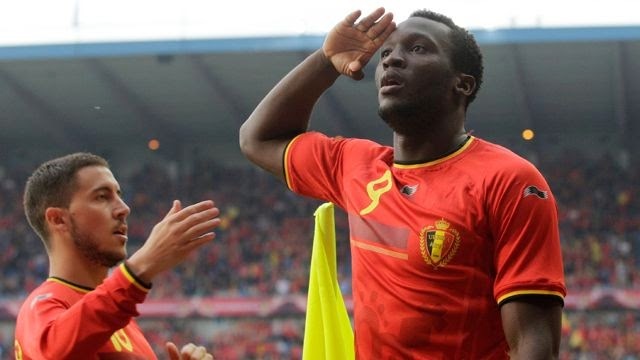 In this week’s tune up match against Luxembourg, Lukaku netted a hat trick, a signal that he is raring to go for this tournament. He is capable of out jumping almost any defender and will shove aside smaller defenders with ease. What he lacks in experience, he makes up for in size, speed, and determination. Romelu will have to fill the void left by the injured Christian Benteke and will do so with the determination to prove he can play anywhere in the world. I predict a very successful campaign for Belgium. I see them winning Group H and progressing through the quarterfinal to the semis.